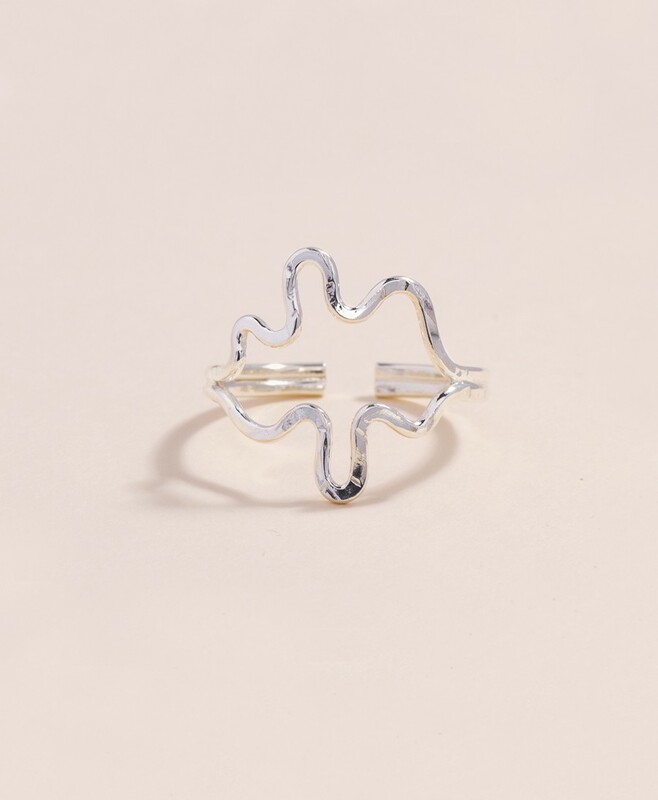 Handmade in sterling silver, with a textured finish. Its open design allows perfect adjustment to your finger. Please note every piece is unique and slightly different as the curved shapes are freely made by hand.